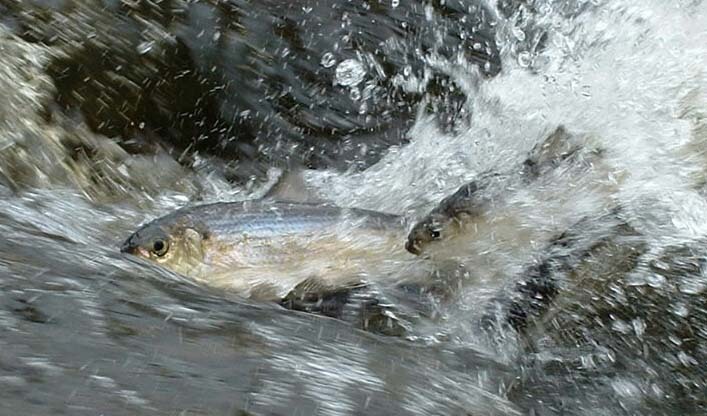 Alewives, sometimes called river herring, are diadromous f ish that spend most of their lives at sea and come back to freshwater in the spring to reproduce. Early New Englanders relied on alewives as an important food source. In a lesson learned from Native Americans, the corn that the Pilgrims ate at the first Thanksgiving was fertilized with alewives. It’s believed that of all the migratory fish that came up Maine’s rivers, alewives were the most abundant. But today, alewives are harvested in only about 30 Maine towns, and most historical runs have disappeared due to overfishing, pollution of river waters, and by the erection of dams creating a barrier to fish passage. In the Mill Pond watershed in Somesville, Maine, several dams were constructed by the late 1700’s to support saw, grist and woolen mills, important structures for the areas’ economic growth at the time. With the establishment of these dams subsequent runs diminished to negligible numbers. 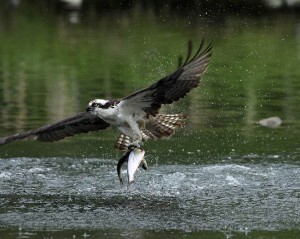 (Runs did not entirely disappear, because some fish were caught below and released above the dams by citizens interested in preserving an alewife run.) Fishways (also known as fish ladders) were eventually installed in these dams allowing alewives to continue in their natural migration, but in recent times those fishways had fallen into serious disrepair and alewife runs nearly disappeared. 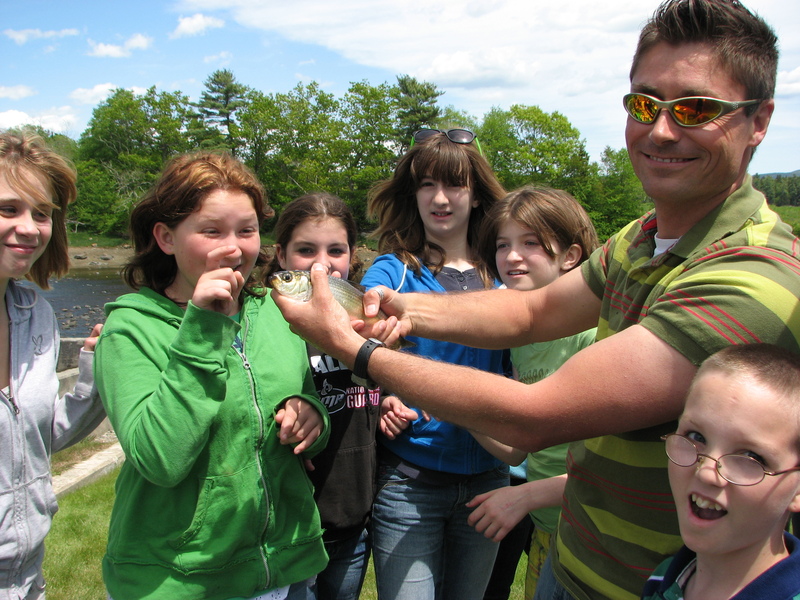 In 2005 the Somes-Meynell Wildlife Sanctuary took a leadership role and began to bring together a group of stakeholders to support the restoration of diadromous fish species in the Mill Pond drainage watershed of Mount Desert Island (MDI). The goal was to restore native sea-run fish populations, such as Alewife, American eel and Sea lamprey, to historic spawning and nursery habitat in one of MDI’s largest watersheds. 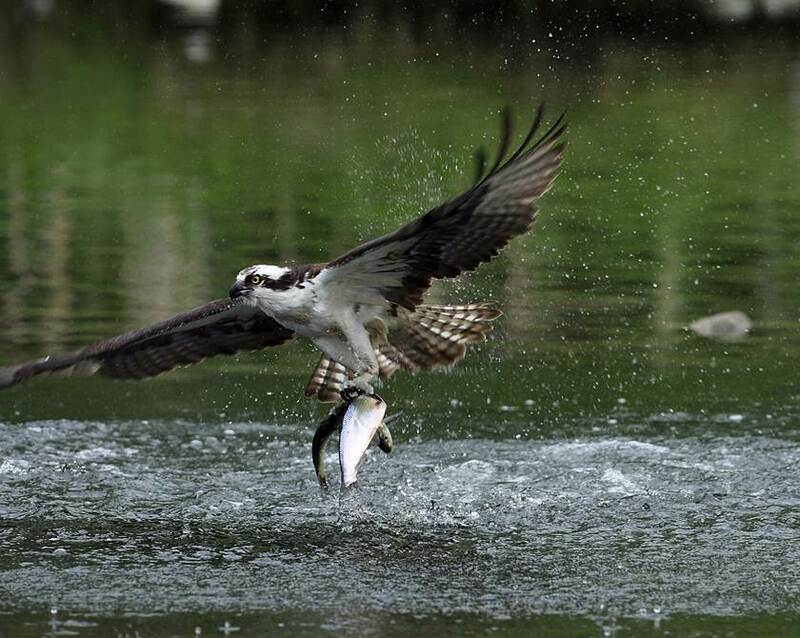 The watershed comprises over 1,000 surface acres of lake and stream habitat. Through the combined efforts of a diverse coalition of agencies, organizations and individuals the following has been accomplished to date: Repairs/modifications to four deteriorated fishways; Installation of an edu cational exhibit at the historic Mill Pond site; Data collection of alewife populations during spring spawning runs; Stock enhancement of alewives through cooperation with the Maine Department of Marine Resources; Educational programs involving local schools and visiting groups; Establishment of a Citizen Science Corps to help collect data on the annual alewife run. For the latest data please click here.